According to Qari Yusuf, it was only some months ago that there was steady discussion by American officials and the Western media of the failures and corruption of the Hamid Karzai government in Kabul, yet as elections approach, the U.S. has realized there is “no worthy political leadership in Afghanistan,” with the result that they are preparing Karzai and his corrupt team for another term in office. This political failure has led to changes in the political and military leadership of the American presence in Afghanistan. Even as 15,000 Pakistani troops prepared to flood the Swat valley stronghold of his Tehreek-e-Nafaz-e-Shariat-e-Mohammadi (TNSM) movement, Maulana Sufi Muhammad continued to unleash a series of edicts on topics as varied as democracy, the status of women and the Islamic legitimacy of photography. Sufi Muhammad was reported to have left his home in Lower Dir on May 4 after it was hit by mortar fire in the opening phases of Operation Rah-e-Haq 4. He is now believed to be in the TNSM stronghold at Aman Darra (Pakistan Observer, May 5). His son, Maulana Kifayatullah, was killed in the shelling of his home in Lower Dir (The News, [Islamabad], May 8). 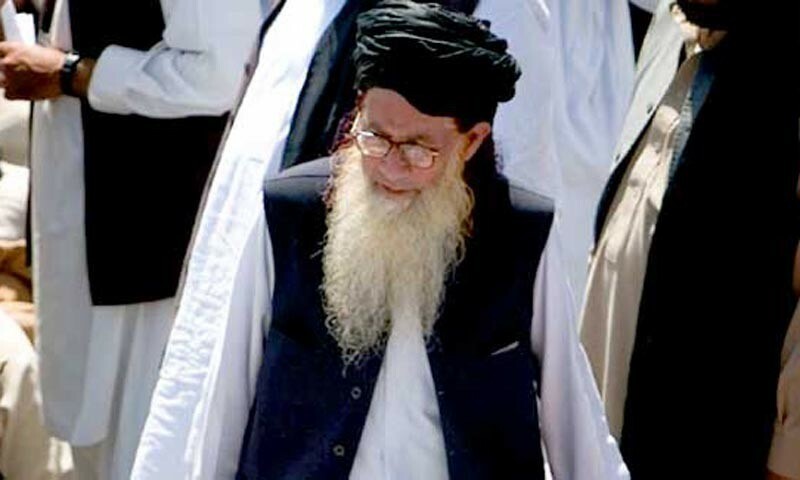 In a recent interview by Pakistani television, Sufi Muhammad rejected democracy as the creation of “infidels.” The TNSM leader asked, “How can people who believe in democracy be expected to enforce the ideals of Shari’a?” Even the Islamic states of Saudi Arabia and Iran had failed to implement Shari’a to Sufi Muhammad’s satisfaction as he cited the Taliban regime of Afghanistan as the only example of a government that had properly administered Islamic law. According to Sufi Muhammad, communism, socialism and fascism were also “un-Islamic” political systems (Geo TV, May 4). In the same interview, he also condemned still photography and videos as “un-Islamic,” before declaring that in a Taliban-run society, women would only be allowed to leave their house to perform pilgrimage to Mecca (Daily Times [Lahore], May 4). Finally, Sufi Muhammad proclaimed that jihad was not mandatory in Kashmir as Islamic insurgents there were seeking a state rather than the implementation of Shari’a (The News, May 3). Sufi Muhammad has not escaped criticism from other Islamic scholars in Pakistan. A recent meeting of the Ahl-e-Sunna in Karachi issued a statement asking if Taliban excesses in Swat would now be dealt with by the new Islamic courts. “If not, to whom are they accountable for the injustice they have committed? Who slaughtered innocent people, dishonored bodies, and hanged them on poles? Will they be called to any Shari’a court and [be] sentenced? Is it legal, according to Shari’a, to dishonor the body of a rival and then hang it from a tree? Do the people who have a different opinion deserve death? Are the people who have killed scholars of the Ahl-e-Sunna or forced them to migrate and taken control of their mosques, madaris, and properties exempt from the dictates of Shari’a, or are they answerable to any Shari’a court?” (Jang Online, May 4). The Pakistani press has also been highly critical of Sufi Muhammad’s failure to fulfill his end of the peace agreement with the NWFP government, his rejection of government-appointed qazis (Islamic judges) and his unwillingness to disarm local Taliban and TNSM fighters (Aaj Kal, May 5; Nawa-e-Waqt, May 5; Jinnah, May 5). According to one major daily, “The demands of the TNSM have been accepted by the government, and they are being implemented as well. Despite this, the opposition by Sufi Muhammad and his disciples is beyond comprehension. Apparently, it appears that these people have a desire to establish a state within a state to be headed by Sufi Muhammad. Such a situation cannot be acceptable to a sovereign country. Therefore, it will be justified if the Army launches an operation for the stability and security of the country” (Khabrain, May 5). This article was first published in the May 18, 2009 issue of the Jamestown Foundation’s Terrorism Monitor. 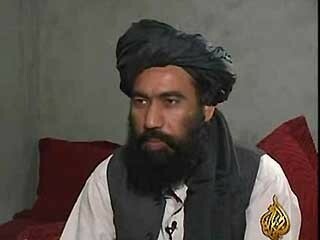 Shaykh Hamid Abdallah al-Ali, a leading Kuwait-based Salafist preacher and advocate of global jihad, has declared that Islam’s battle in Afghanistan will continue to escalate in the coming days, extending to Pakistan where the “Zionist-Crusader” alliance will use strategies similar to those that have already failed in Palestine, Iraq and Somalia. His analysis was contained in a May 2 article entitled; “Afghan-Pakistani Tight Spot and Zion-American Ambitions” (muslm.net, May 2). The analysis was carried by many jihadist websites. 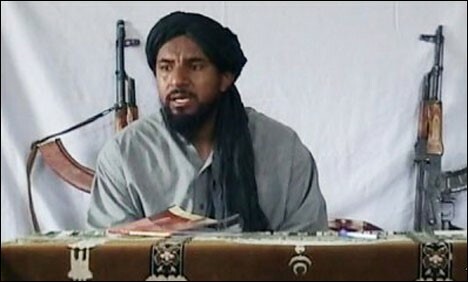 Al-Ali says the most prominent achievement of Tehrik-e-Taliban Pakistan (TTP) leader Baitullah Mahsud has been the rejuvenation of “the jihadist network in Afghanistan, all the warlords from Pashtun [tribes] and the mujahideen from the Punjab district… aligning them under one banner.” The fusion of trained jihadis, funds and organizational skills has made it possible for Baitullah to strike anywhere in Pakistan. According to al-Ali, the success of the Taliban is based on its ability to win supporters and postpone “secondary disputes” within the alliance. The Salafist preacher is, unsurprisingly, critical of Shiite Iran. Al-Ali notes that the “Safavids” (Iranians) do not cooperate with Sunni jihad movements, except temporarily to “burn out such movements” in a “wicked scheme.” “What is astonishing in their ambition is that they want a deal that reaches a degree that equalizes them with the international deals the West concludes with China or Russia.” The shaykh suggests Iran will continue to display their ability to cause harm continuously until they are given status alongside the great powers, even if it involves provoking the United States in Latin America (an apparent reference to Iranian relations with Venezuela). 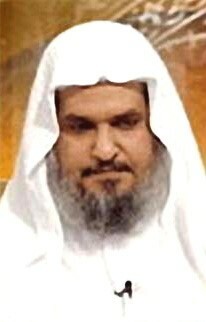 Shaykh Hamid Abdallah al-Ali is best known for his 1999 fatwa declaring the government of Kuwait to be composed of disbelievers – legitimate targets for the mujahideen – and for his early 2001 fatwa sanctioning suicide bombings, including those involving the flying of aircraft into public buildings (see Terrorism Monitor, April 26, 2007). Hamid Gul, the former chief of Pakistan’s controversial Inter-Services Intelligence (ISI) agency, claimed the United States was supplying arms and cash to Pakistan’s Taliban movement in a recent interview with al-Sharq al-Awsat (April 25). • “Criminal elements” that fled Pakistan’s cities and have taken refuge in the tribal regions. These are not provided any support by the other mujahideen. 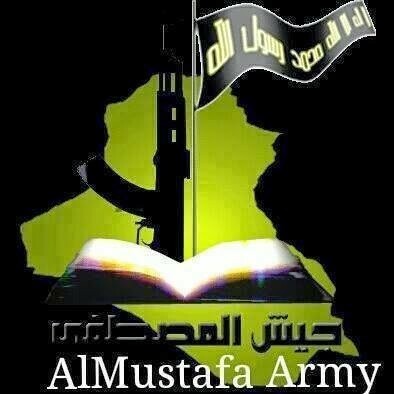 • U.S. Intelligence has established 50 mujahideen units in the tribal areas. These are formed from local and foreign elements and supported by Indian intelligence agencies. • Mujahideen who want to fight in Afghanistan but are forced instead to defend themselves from attacks by Pakistan’s military. “This is what the Americans want. They want to see these mujahideen fighting against the Pakistani army and not crossing the borders to fight the Americans and the international forces.” The former ISI chief maintains the United States is supplying the Pakistani Taliban with arms, equipment and money to fight the Pakistani army. The Americans “want the national Pakistani youths to fight against the Pakistani army and they have succeeded in this.” Gul adds that volunteers from the Punjab region are now joining the tribal mujahideen in Afghanistan. According to Gul, the Pakistani Taliban movement remains loosely organized. “Each tribe is fighting in its region and no tribe crosses to the region of the other tribe. Each tribe has its command structure.” The Tehrik-e Taliban Pakistan (TTP) was formed to improve cooperation, but does not yet control all the various Taliban groups in the region. A 29-page Arabic-language book entitled Sharpening the Blades in the Battle Against the Government and Army of Pakistan was released by al-Fajr Media Center on April 30. The author is Abu Yahya al-Libi, a leading al-Qaeda ideologue and Pakistan-based member of al-Qaeda’s core leadership. 1. Islamic scholars are agreed that non-believing rulers must be removed from power. “The non-believer (whether he is a non-believer to begin with or an apostate) is an object of humiliation and contempt, inferiority and lowliness.” Abu Yahya insists that Salafists have always taken the lead in preventing non-believers from assuming power in Muslim communities. Abu Yahya takes care to present the arguments made by famous religious scholars in support of overthrowing non-believers, relying heavily on the works of Hanafi scholars (the dominant school of Islamic jurisprudence in Pakistan) such as Abu Bakr al-Jassas al-Hanafi (d.961), Imam Ja’afar Al-Tahawi (d.935) and Ali ibn Sultan al-Qari (d.1605). 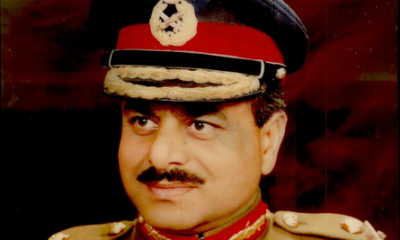 According to Abu Yahya, the president of Pakistan is just another in the line of non-believers, arguing, “If Muslims in Pakistan are ordered by the Shari’a to remove those non-believing and corrupt rulers, it will be achieved only through fighting their army and intelligence services that defend and protect them, strengthen their power, stand in the path of Muslims, and prevent them from fulfilling their duty.” Abu Yahya dismisses the idea that the army provides collective security to the Muslim community and should not be fought as contradictory. “How would [Shari’a] order us to disavow a non-believer’s rule over us and at the same time forbid us from that because the non-believing ruler’s group that defends him pretends to be Muslim, or is Muslim?” Abu Yahya notes the Pakistani armed forces are a volunteer force and thus their members are legitimate targets for the mujahideen. 2. The Pakistan Army rejects Islamic law. Abu Yahya says the army and intelligence services do not abide by most Islamic teachings and use all their power to prevent the implementation of Shari’a. 3. The Pakistan Army is an enemy that assaults Islam and must be fought. Abu Yahya accuses the military and the security services of Pakistan of invading homes, demolishing houses and torturing men and women. “It is needless to wait for them to launch a new assault. I want to emphasize that it is imperative for people to be compelled to fight these sects [i.e. the security services]. The fight is not limited to Waziristan, Peshawar, Suhat or other places, but extends to every speck of Pakistani territory.” Abu Yahya sees no difference between the current situation and that encountered at the time of the “apostate communist Russian occupation of Afghanistan.” With Pakistani forces clearly allying themselves with the “Christian Crusaders and their helpers,” the al-Qaeda ideologue concludes there is no law that would prevent Muslims from fighting them.